If you're forgetful in the kitchen, or you are simply balancing too many things at the same time, it's likely that you've left your coffee pot on. Some coffee pots automatically turn off if they've been left on, but you may face some serious consequences if yours isn't one of them. Avoid this by setting a loud timer to go off after several minutes or by placing a checklist by your front door to remind you to turn off electronics in your home. 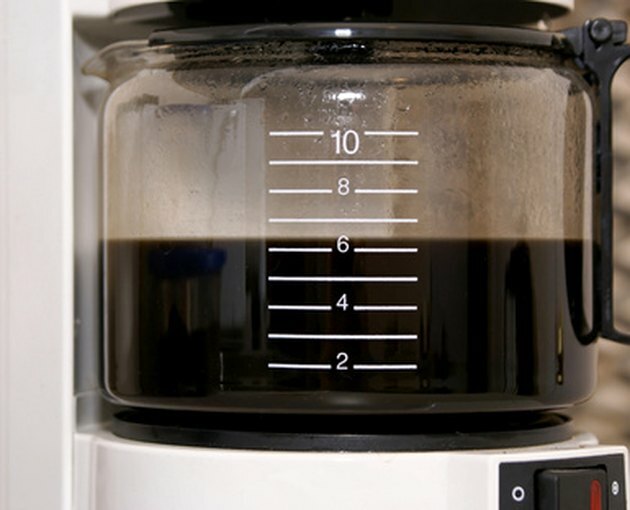 Leaving your coffee pot on all day will waste electricity. If you've left coffee in a hot coffee pot, you may come home to thick coffee. This is because the steam that rises from hot coffee is water that is leaving the coffee in vapor form. This causes the coffee to be stronger and thicker. This can add a burnt flavor to some types of coffee. One of the common consequences of leaving your coffee pot on all day is a burnt pot. This is especially possible if there was little to no coffee left in the pot. In this case, the coffee will begin to evaporate, will thicken and eventually burn to the bottom of the pot. You can generally scrub off burnt marks with salt, baking soda and lemon juice, but you may need to get a new pot if the burn has warped the bottom of the coffee pot. Your pot may be permanently damaged if it is left on without anything in the pot. Leaving your coffee pot on without using it will waste electricity. If you are regularly doing this, it may have an impact on your electricity bill. Furthermore, wasting electricity can have an eventual effect on your environmental footprint. While leaving new coffee pots on is generally not a fire hazard, it is possible that they could catch on fire. This is especially true if you have paper towels or napkins near the coffee pot that could get blown onto it by a breeze from an open window or fan. Another potential fire hazard is leaving the coffee pot on near an electrical cord; if the cord melts, it could cause a fire. What Causes Coffee Maker Fires?